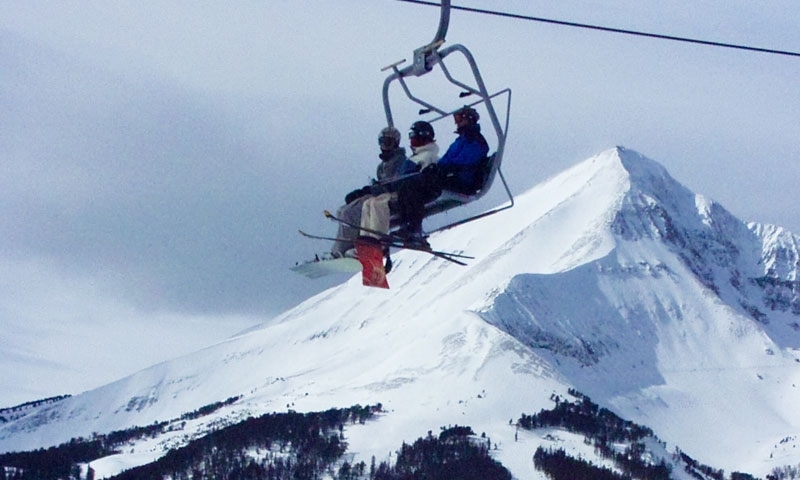 Blue skies and 400 inches of annual powder on Lone Peak make Big Sky a winter paradise. Think of a winter activity, and chances are you’ll not only find it here, but find the best of it. Winter is Big Sky in its element, and when the snow comes, Big Sky thrives. Tear up the largest area of ski terrain in America, or explore the outdoors by snowshoe, cross-country ski, or snowmobile: Big Sky offers all things winter. Big Sky’s go-to winter activity. 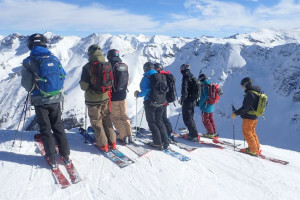 Big Sky Resort, now encompassing Moonlight Basin, offers 5,750 acres and 4,350 vertical feet of skiing. The 29 lifts are able to move 35,000 people per hour, but usually only cater to about 2,500 skiers and riders per day – that means virtually no lift lines. Also close by is Bridger Bowl, an hour and thirty-minute drive North in Bozeman. Though smaller than Big Sky, Bridger is know for it’s phenomenal expert side-country terrain. Head down to Lone Mountain Ranch to explore miles of cross-country trails, guided or on your own. 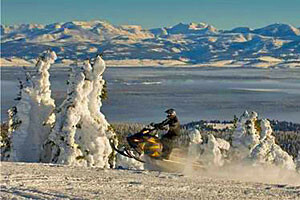 Explore hundreds of miles of trails in the big sky area, including the 120-mile Big Sky Snowmobile Trail between Bozeman and West Yellowstone. Besides revving up your adrenaline, you’ll see fantastic mountain vistas and wildlife. Try the Buck Creek Ridge, just south of Big Sky, for miles of excellent terrain. Cheap rentals and tons of accessible trails make snowshoeing in Big Sky an easy and fun way to explore the winter alpine terrain. Set out on Lone Peak or head down to discover trails at Lone Mountain Ranch. Take a shuttle down to Yellowstone National Park, where you’ll spend a day exploring the snow-covered landscape from the comfort of a warm snow coach. 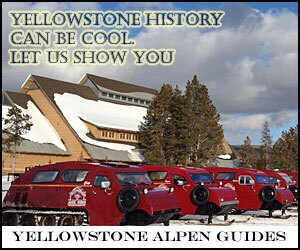 Then get out with your group to explore the geothermal features via cross-country skis and snowshoes. Glide through quiet snow-covered pines to a gourmet dinner or simple toasted marshmallows - whether you’re looking for romance or family fun, the magic of a horse-drawn winter sleigh ride is unforgettable. Born in captivity or labeled “nuisance bears,” the grizzlies and wolves at the Discovery Center are unable to live in the wild. Instead, they roam the animal sanctuary year-round (these grizzlies don’t hibernate! 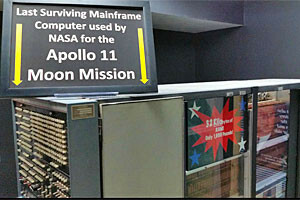 ), giving you a chance to get a rare up-close look at these great beasts. Check out the largest Tyrannosaurus rex skull ever unearthed or catch a show at the Digistar planetarium. Then head over to the Living History Farm, where re-enactors dress in frontier period costumes. Swing like Tarzan through the trees and over the slopes on Big Sky Resort’s zipline. You’ll zip on three different lines over two hours, speeding 25 mph 60 feet above the ground. Maintaining good relations between land management and climbers.